Sweet design. Highest quality materials. Innovative function. 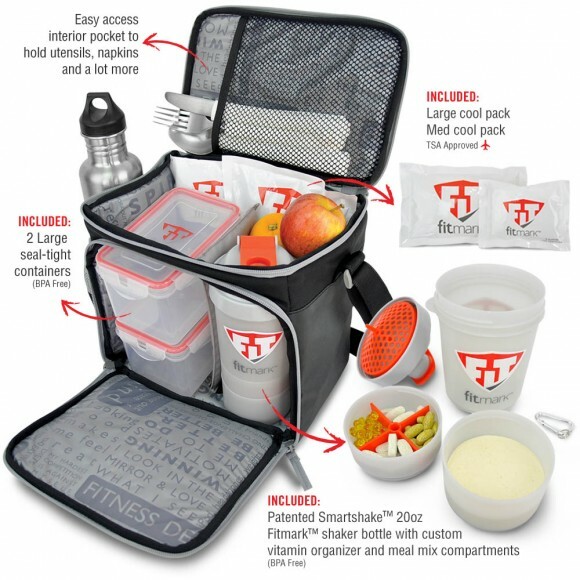 The Fitmark Shield is taking meal management bags to the next level. 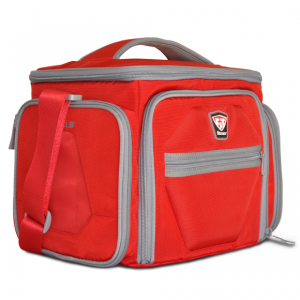 It’s lightweight, portable, with tough polyester nylon and a heavy-duty, padded and removable shoulder strap. 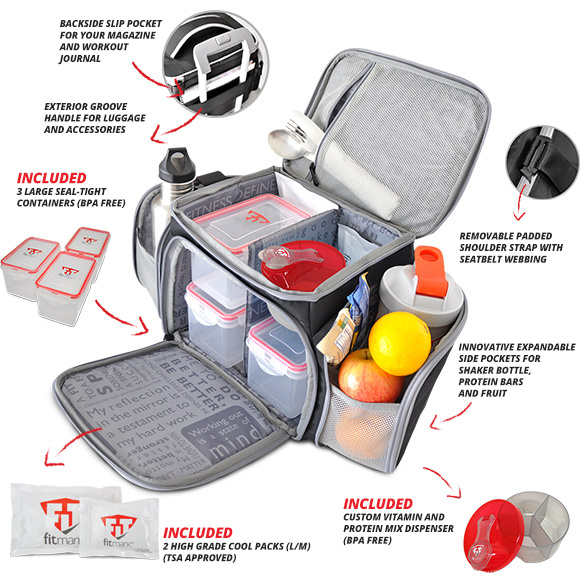 Easily organize your meals with 3 large seal-tight containers, two cool packs (one that is TSA approved), a custom vitamin and protein mix dispenser, and two super smart expandable exterior pockets for your water bottle, protein bars and fruit. There’s even a place to hang your keys. 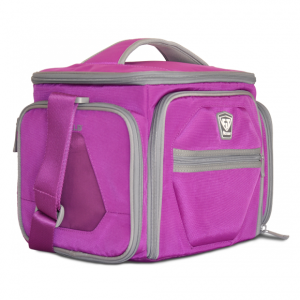 The back exterior includes a luggage connector and sleeve for your journal and magazine. 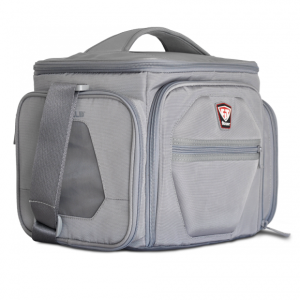 The Shield comes with the Fitmark swivel-action center divider that pivots for maximum organization. 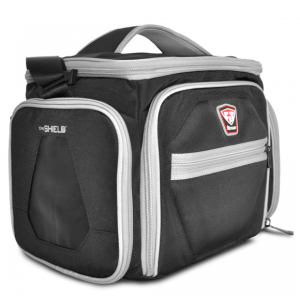 The Shield makes it simple to go to work, hit the gym and still have a healthy meal eight hours later. The ultimate health management system? It’s in the Shield. I use the Shield for travel and to bring my food to work. I’m working toward a competition and am particular about my meals. The design is cute and provides enough room for what I use it for. 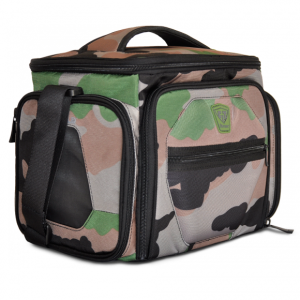 The handle is durable and I like the padded strap. The containers are good size and the colour is great. The problems I have are functional. The side zippers could use two zippers and expand out instead of at an angle. I put things in there (rice cakes, protein shaker, water bottle etc) and they don’t stay in. They fall out the front net part if I am walking or moving it from one place to another. I have to zip it up to hold them in. Also the front access zipper to the main compartment moves allowing the cold air to get out. I think it would be better with two zippers or just as a pocket and no access to the inside keeping the cold air from escaping. I think it would help so the packs don’t thaw as quick. 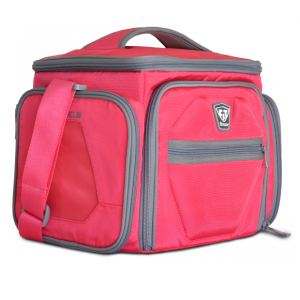 Great for picnic lunches, road trips and work! 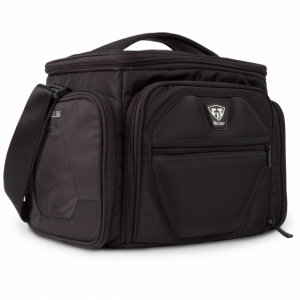 Fits everything, lots of pockets, comfortable to use. 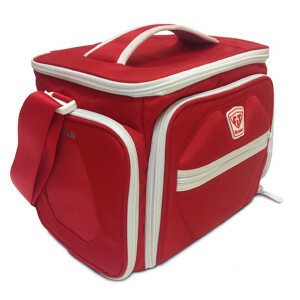 In short, this bag is awesome! I highly recommend this! 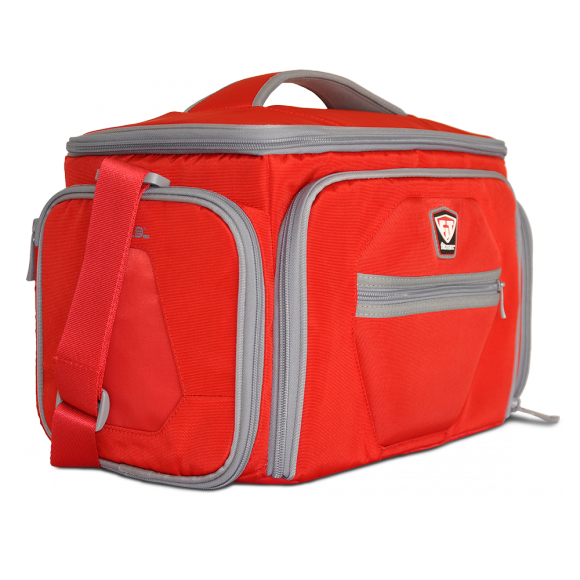 This is perfect for daily food prep, work travel and long weekends away. 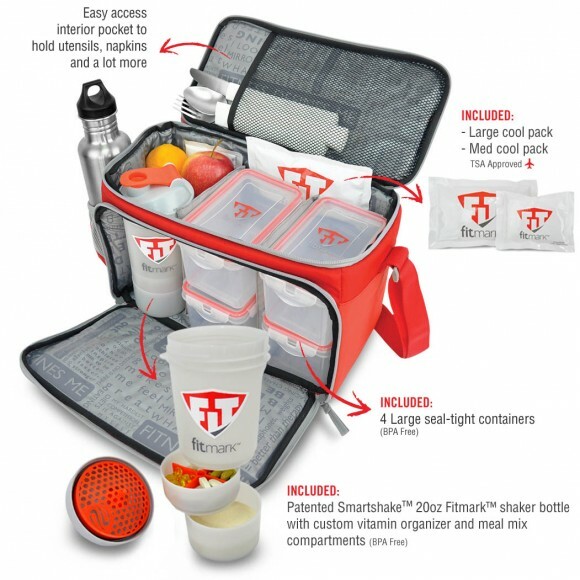 There is room for a day of food and snacks, sure beats the reusable lunch bag I was using before! Great bag. I put my lunch, water bottle and snacks here and still has room for more. It’s easy to carry too. 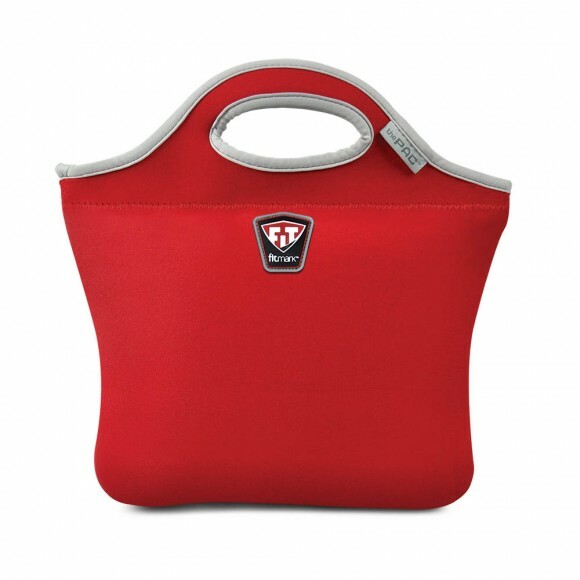 I LOVE how this bag is so versatile — could be used for gym, picnics, etc!! I just HATE how there are so many colors to choose from — I want to buy them all! Like I said wish I find out about is early. I had my other lunch bag for years and no regrets on buying this. It’s more pricey but total worth it. After I used it for a day I throw my other bag in the trash knowing it’s no going back to the other one. Very happy with my purchase and I love the colour combo I picked.